Mobile.de registration » Envetix s. r. o.
Envetix s. r. o. is here to help you join more than 40000 European dealers who have already discovered all the advantages of an advertising network that is both an integrated pan-European selling tool and a strong local player. Mobile.de was founded in 1996 as the first car database in Germany. And it soon became a big success, acquired in 2004 mobile.de by the global giant eBay.com. In 2011 vehicles worth 35,9 billion euros were traded on mobile.de. 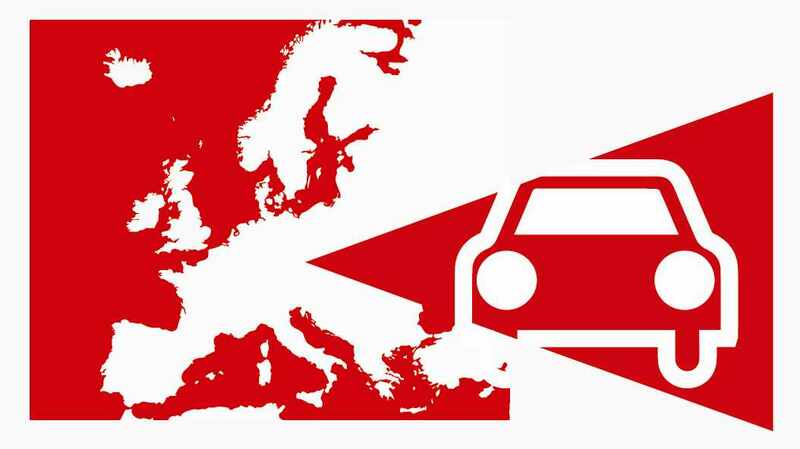 1) Sell your car anywhere in Europe – use your chance. In an onsite study of mobile.de (October 2012) 8% of mobile.de visitors, and, let us remind you, there are sixty million of them per month, would buy a vehicle in Czech Republic. This is at least one million potential buyers.Listing your car on mobile.de means the exposure of your car in all European countries. A car dealer’s ad is visible in all mobile.de country versions and in a network of around 20 partner websites around Europe. A fact you probably don’t know: Czechs make around 1 mln visits/ month on Mobile.de and, according to Alexa rankings, it makes mobile.de the second most viseted car ad website in the Czech Republic, leaving behind Tipcars.cz and other competitors and quickly gaining on the market leader Sauto.cz. The classic mobile.de website can be reached via any device computer, tablet, or mobile phone and it is bookmarked on the computers of most car enthusiasts in Europe. But technology develops, so do we. Today the mobile.de sites are reachable via app, and there is a mobile version of the website easily accessible froma a tablet or a smartphone. In Germany the mobile traffic reached already 40% of all visits. As a part of the standard package mobile.de gives you a homepage ready for desktop and mobile devices with the option to easily customize it, making it more attractive to customers. Impress your customers with a video of your showroom, a welcome message and information on the latest offers. mobile.de dealer website is packed with useful tools, enabling you to monitor the traffic on your webs, get info about your customers and quickly react to all trends and changes. 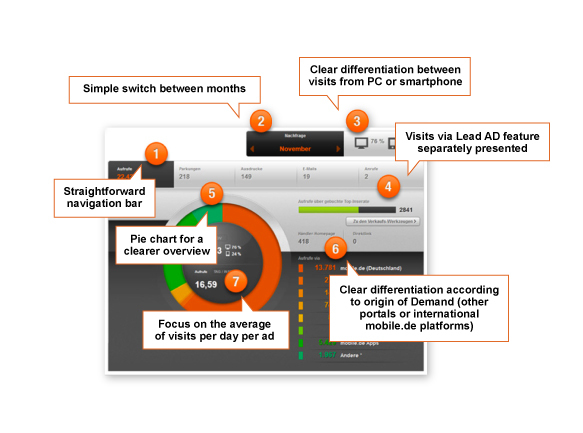 Market Monitor makes you understand where your prospective clients come from and what they are looking for. There are also tools to filter your inventory and check out the quality of your ads and evaluate how they perform. Tip: High ad quality brings you more clicks and requests. Potential buyers expect many different types of vehicle information from a seller. You should therefore check whether you have considered all the factors in your listing. Don’t wait until the customer asks. Provide complete information – you’ll stand out from the competition and increase your chances of sales. Mobile.de is not only you gate to other countries, but your future integrated selling tool for the Czech Republic and all of Europe alike, we are already number two in the Czech internet ad market, and we are here to stay and aim for the first place. 188 most dynamic and successful Czech dealers have already understood our vision of one platform for the integrated European market and decided to join us on the road to success, including the market leader AAA Auto, with more than 3000 listings per month on our website. We are the future, and we can deliver the future to you.